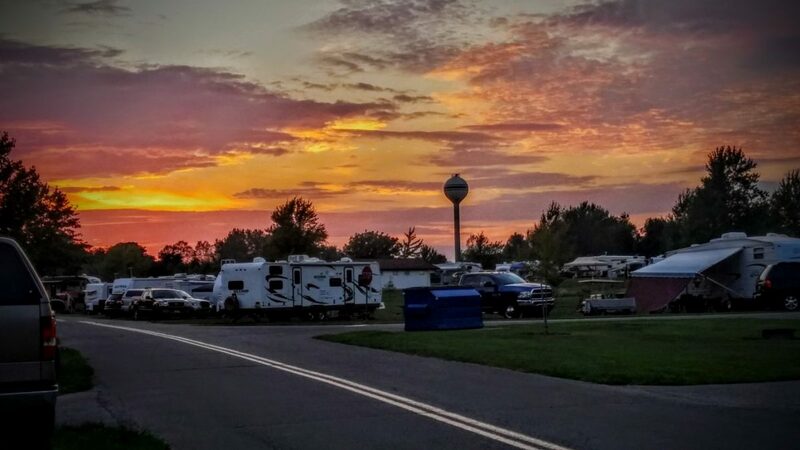 ﻿ Indian Lake State Park Campground - Ohio. Find It Here. Located in west-central Ohio, 5,100-acre Indian Lake (unlimited horsepower) offers a variety of water-related recreational opportunities. Visitors can boat, fish, jet-ski and camp at this noteworthy, man-made lake. Campers can enjoy the shade of large mature oak, sycamore and maple trees. Heated shower houses, flush toilets, laundry facility and camp commissary. Pet permitted on all sites. Beach, boat ramp and boat docks are provided for exclusive use of registered campers. Seasonal naturalist program, playgrounds, basketball and volleyball, and bicycle and boat rental. Group camp area may be reserved for groups up to 60 people. Ten boat camping spaces are also available (these site do not accommodate tents and there are no fire rings). Park offers naturalist programming during the summer months. A dog park at Oldfield Beach includes lake access. Full hookup or electric, some waterfront. Showers, flush toilets, laundry, commissary. Pets allowed.